2015 EU reissue on 180g 2LP + MP3 Download- 2001's 10000 Hz Legend is the second full-length album from French postmodern electro duo Air - acronym for "Amour, Imagination, Reve" (love, imagination, dream) - comprised of sound auteurs Nicolas Godin and Jean-Benoit Dunckel. 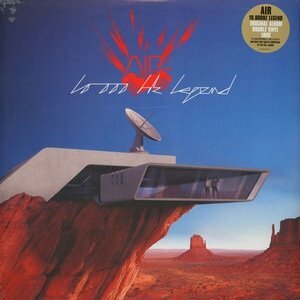 Much more idiosyncratic and less pop oriented than its predecessor Moon Safari, 10000 Hz Legend finds Air sounding as futuristic as ever and approaching prog and avant-garde territories with the help of guest artists like Beck, Jason Falkner and Buffalo Daughter. A2 How Does It Make You Feel? 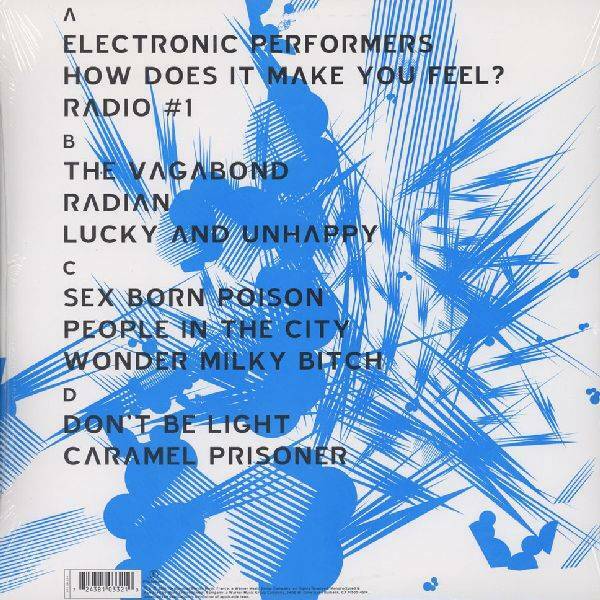 2001's 10000 Hz Legend is the second full-length album from French postmodern electro duo Air - acronym for "Amour, Imagination, Reve" (love, imagination, dream) - comprised of sound auteurs Nicolas Godin and Jean-Benoit Dunckel. 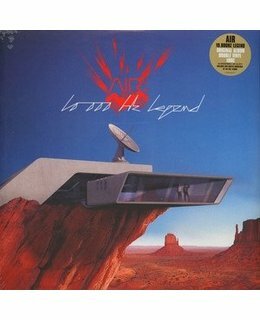 Much more idiosyncratic and less pop oriented than its predecessor Moon Safari, 10000 Hz Legend finds Air sounding as futuristic as ever and approaching prog and avant-garde territories with the help of guest artists like Beck, Jason Falkner and Buffalo Daughter. In correlation with The Virgin Suicides: 15th Anniversary Deluxe Edition box set and 180g vinyl reissue, Warner/Parlophone will also be releasing Air's five album discography on remastered 180-gram vinyl with original artwork, including their first EP Premiers Symptômes (1997), Moon Safari (1998), 10,000 Hz Legend (2001), Talkie Walkie (2004) and Pocket Symphony (2007).